Do you remember the amazing event organized by Chez Pim called Menu For Hope? 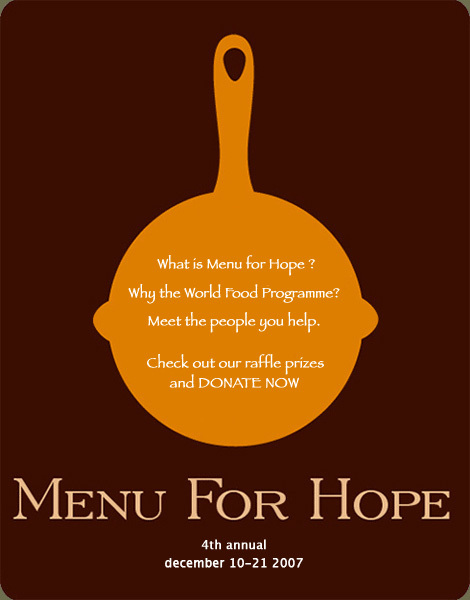 The Menu for Hope charity raffle brings together food bloggers around the world in the fight against hunger. 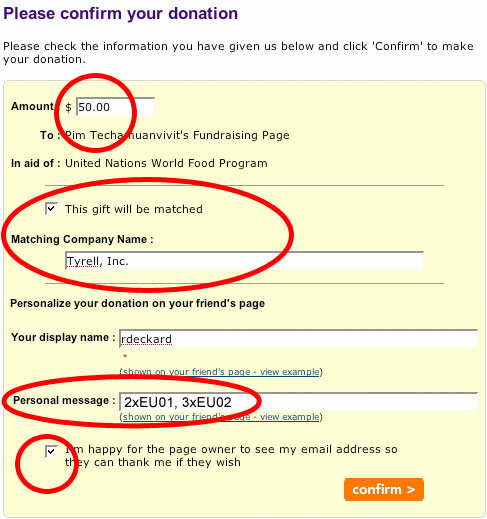 Food bloggers offer prizes that readers may buy virtual raffle tickets to win, with the proceeds going to the U.N. World Food Program. This year, prizes run from dinners out at fancy restaurants, autographed cookbooks to appliances and kitchenware, delicious homemade foods to even food tours. To get a complete list of the prizes offered worldwide, visit Chez Pim. Serious Eats is taking care of gathering all the prizes generously given by food bloggers on the US East Coast. Check the list here. 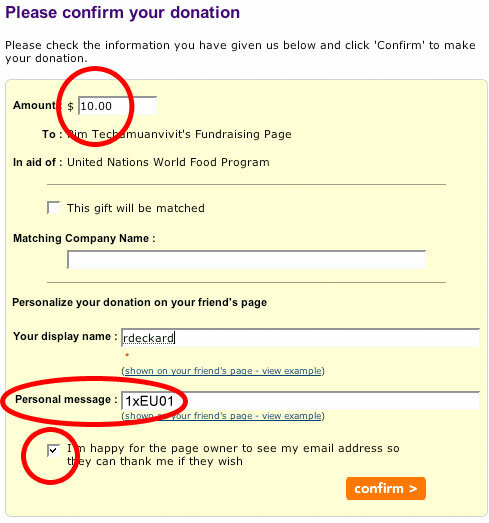 Thanks for your participation and generosity, and good luck in the raffle! Every participation matters. And you can be part of it!